Silversneakers® If you are eligible for the SilverSneakers® fitness program through your health insurance plan, you may enroll at North Lakes Recreation Center by calling 940-349-8287. 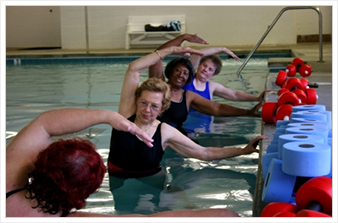 SilverSneakers® includes fitness facility use and exercise classes designed for older adults. You may also swim, water walk, and take water exercise classes at the Denton Natatorium. For Natatorium information call 940-349-8800.